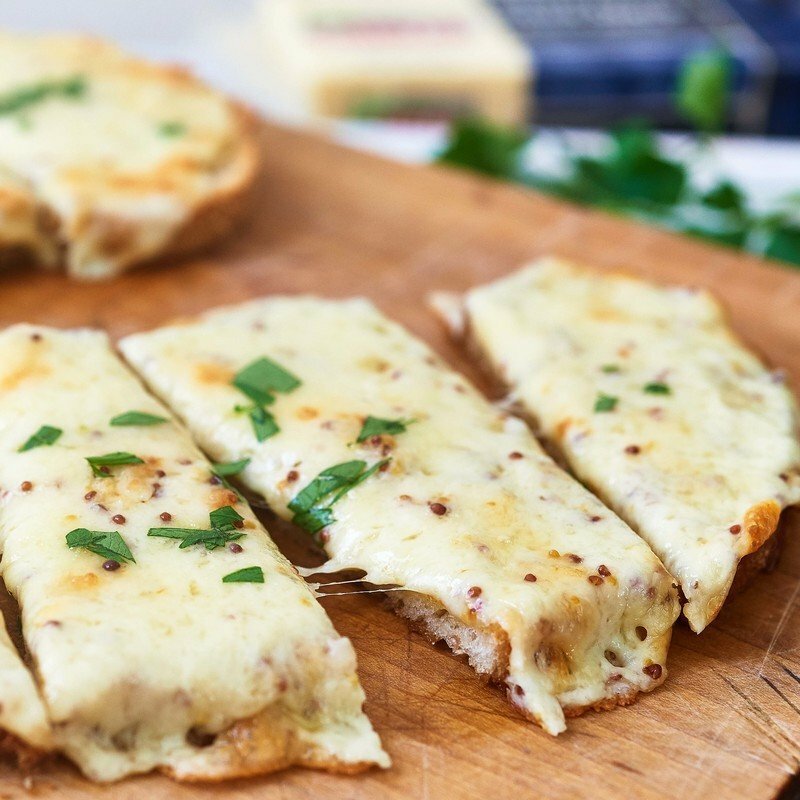 This Cheese Toast is the toastiest, tastiest, easiest, cheesiest, speediest, most indulgent creation since sliced bread… and cheese, and maybe butter. This is a great after school snack, side with tomato soup, breakfast (put an egg on it! ), dinner with a salad, mid-morning snack, late night snack… you get the drift! PREHEAT oven, or toaster oven to 450ºF. Butter the top sides of the bread and place on a baking sheet. Bake for 3 minutes, or until the butter is fully melted. 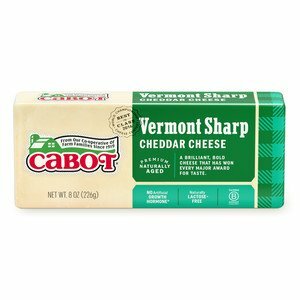 COMBINE Cabot Cheddar cheese with mustard and mayonnaise and mix well. 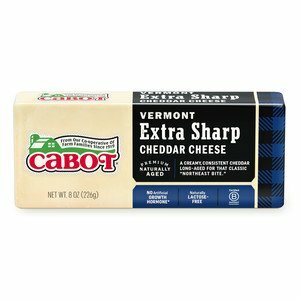 Remove bread from oven once the butter has melted, and top with the cheddar cheese mixture. RETURN baking sheet to the oven and cook until bubbly and golden, approximately 5-10 minutes. A toaster oven tends to cook faster than a regular oven so be sure to check intermittently.